In order to accomodate your precise needs we can arrange a service as frequently as you require. This can be daily, weekly, fortnightly or monthly. Regular cleans can also include periodic additional tasks by arrangement i.e. changing beds and towels, cleaning oven, defrosting fridge/freezer etc. After the builders to get the home back to normal. This list is not exhaustive and we will endeavour to undertake any other tasks you may require as our aim is to tailor the service to suit your specific needs. The Changeover service is our most important service. The cleanliness of your holiday home is very important to us as we ensure that each guest who arrives at your property knows that care and attention to detail has been paid to every aspect of the home. This ranges from the little touches of ensuring every bin has a correct bin bag to making sure that the cutlery draw is clean and with stacked cutlery to make that all important first impression as good as possible. 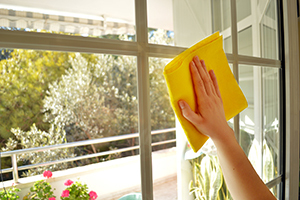 All of our property housekeepers are local to your home and know the area well. We are able to offer advice to the guests if required on local restaurants or where the nearest supermarket is. Our housekeeping team hard working, consciencesous and will respect your house as if it was their own. They fully recognise the importance of attention to detail when preparing the property for your guests and insuring their first impression is a positive one. Supply of basic cleaning materials ie. Dishcloth, sponge, dishwasher tablets etc. We have access to a maintenance team who can provide a comprehensive and reactive service for both emergency and planned maintenance. 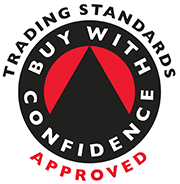 This also includes Landlord Gas Certificates and Potable Appliance Testing. All our contractors are vetted and carry their own appropriate insurance. We can be available to recieve, check and unpack deliveries. Be available witin your home for builders, services, engineers, deleiveries etc. Take and collect laundry. dry cleaning etc. Reducing your carbon footprint i.e. recylcing; accessinging environmentalily friendly products and services etc. Check timetables, route planners etc or anything else you may need. This is a service designed to give carers a break or to support social activities for people living on their own. This is a non-personal care service that can be provided within your own home or in the local community between the hours of 8am and 8pm for an hour or more. If you are in reciept of direct payments or have a personal budget arranged by your local council why not contact us to see how we may assist. Carer breaks/sitting service - providing support to enable the carers piece of mind whilst they have a break or do the shopping. For more information on the services we can provide please do not hesitate to get in touch with us. We will be more than happy to discuss all your needs in further detail.